Situated on Nanjing East Road in Taipei's commercial district, the Brother Hotel combines high-end accommodation with a convenient location. The Nanjing East Road MRT station is only 2 minutes walking distance away, while Taipei Arena is also close. Rooms at the Brother Hotel are slightly upscale. 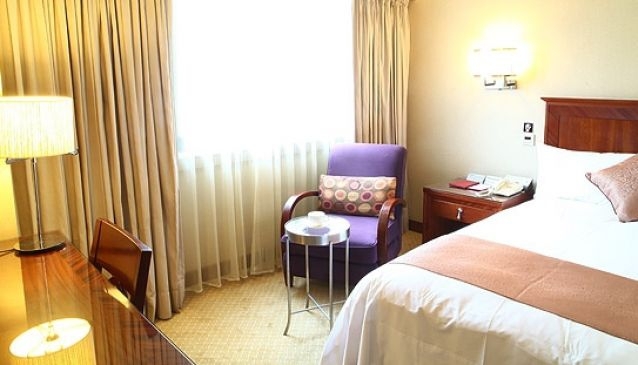 All come with free Wi-Fi, LCD televisions, a work desk and an in-room safe. Suites feature separate a living-room area. Breakfast is included. There are 7 different restaurants in the Brother Hotel building, so guests can enjoy a variety of cuisine without having to leave the premises. The Sky Lounge serves cocktails on the 14th floor.